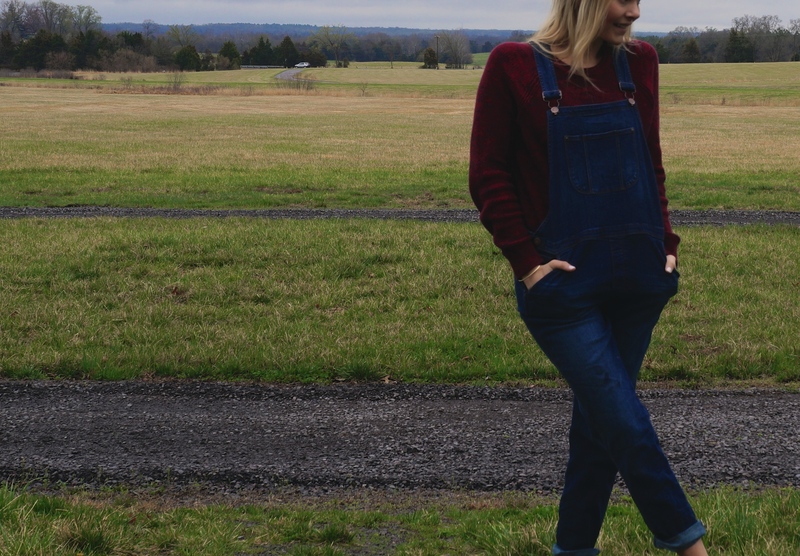 While I love overalls for a date night look (keep and eye out for these same ones featured next week), the weather in Virginia has been rotten and they are GREAT for comfort and plain old wanting to be warm on a grey day! Not to mention the pockets, oh the pockets. How did I get through the day before I had overalls and a million pockets?! 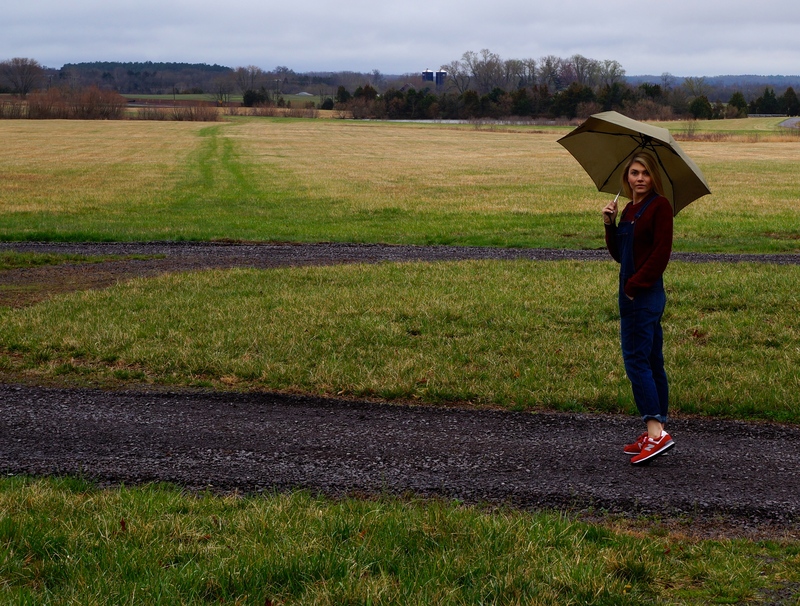 You may recognize the sweater from my Lumberjane post! I’ve restyled it as my comfy crop sweater under my overalls and tried to amp up the red with my New Balance sneaks. A little tip for those of you that also have small feet: you can buy children’s shoes. They are a fraction of the cost and essentially the same shoe. I’m a seven or seven and a half and almost always buy youth sneakers, flip flops, slippers, etc.